The concept, and quality of execution demanded care to save this special work. Slowly, lost parts were replaced, seams rejoined and the creamy ivory color was replaced over layers of undercoat. 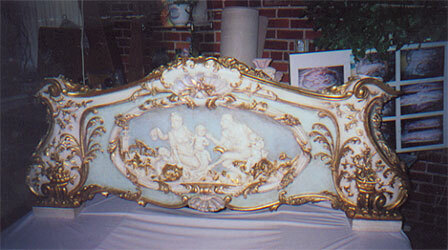 Color and gilding were added to the appropriate areas.